A tribute to another photographer who sometimes had rain and sometimes sun. Either way he created amazing images from embracing nature. 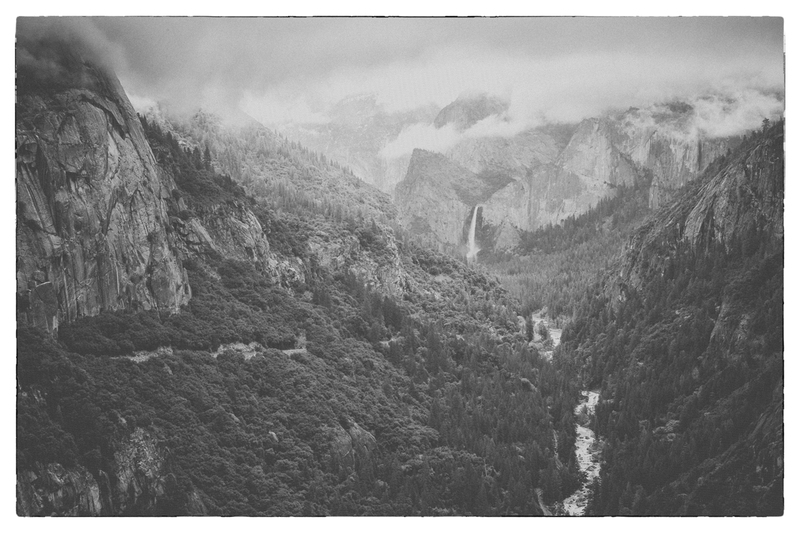 Into Yosemite Valley – circa 2010. Rain is the force of life in Mediterranean climates. It’s not simply a thing that happens here or there – rather it defines wet and dry seasons. It creates possibilities for birds, worms and salmon alike. Today it’s raining here. It’s quite a surprise for the end of June, but I wanted to embrace it. It’s a beautiful caesura in the parching season of the hot, dry summer which is forecast for 2013. Enjoy the rain, the anomalous rain and all the life it brings at the most unpredictable moments. I never thought I’d be here 100 posts later. In love with the camera like never before. Photographing professionally across the US (and occasionally elsewhere). I have many publications that I believe have helped forward conservation and our journey toward understanding our place in nature as humans. The lens is such a powerful tool, personal and social. It liberates like few other tools invented by humankind. “Rain is falling drip drop, the river is overflowing. Denise, You’re truly the best. Thanks for all you do and I’m looking forward to working on a fun project together. – Lech.